PORTLAND, Ore. (AP) Damian Lillard says he’s finally feeling close to normal. ”I finally found a combination at the end there where we had shooters on the floor and we moved the basketball to give us a little bit of a chance,” said Suns interim coach Jay Triano. ”When they made their run in the first quarter, we went to it in the first quarter and it was good. 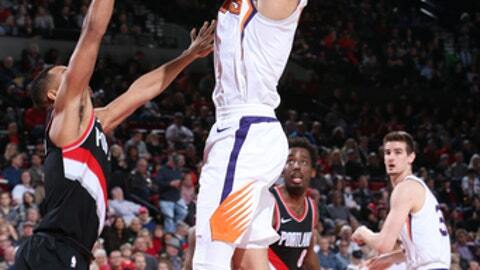 We had a lead in the third quarter, so I was trying to kind of preserve `Bazz’s minutes, otherwise I probably would have gone to it in the third quarter as well,” Stotts said.